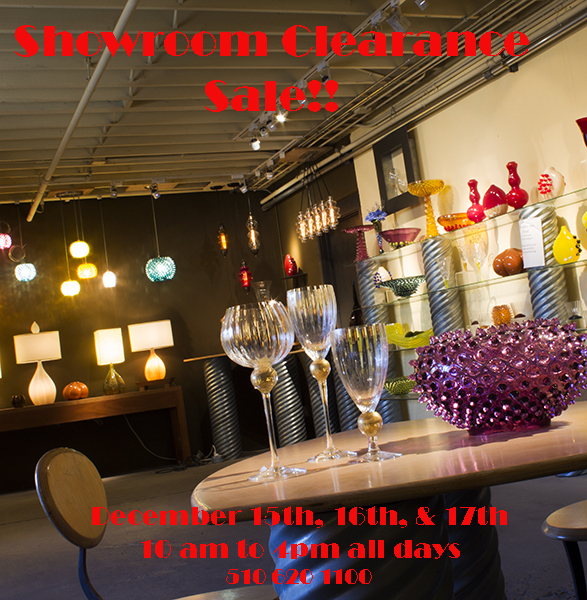 SHOWROOM CLEARANCE SALE AND EVERYTHING MUST GO!! We are remodeling our showroom and need the space for new adventures. Lighting, accessories, and stemware are all reduced for great savings. This is your opportunity to dress your home with the warm glow of handmade lighting and toast the New Year with elegant stemware! Finish your collections and find a special gift for that special someone. Call or email for quantities, pricing, and advanced sales for the best selection.